Home › Blog › Alison is moving on UP! Alison is moving on UP! Platinum Helicopters would like to CoNgRaTuLaTe Alison O’Brien on moving up to the next step in her Aviation Career. Alison has accepted a job at Helicopter Flight Services (HFS) flying in New York City! Evan has had the pleasure of teaching Alison first as a student and then to being her first employer in the Industry. She has done a great job at Platinum Helicopters LLC and we wish her all of the best on her future Career path. Alison, we are PROUD of you! 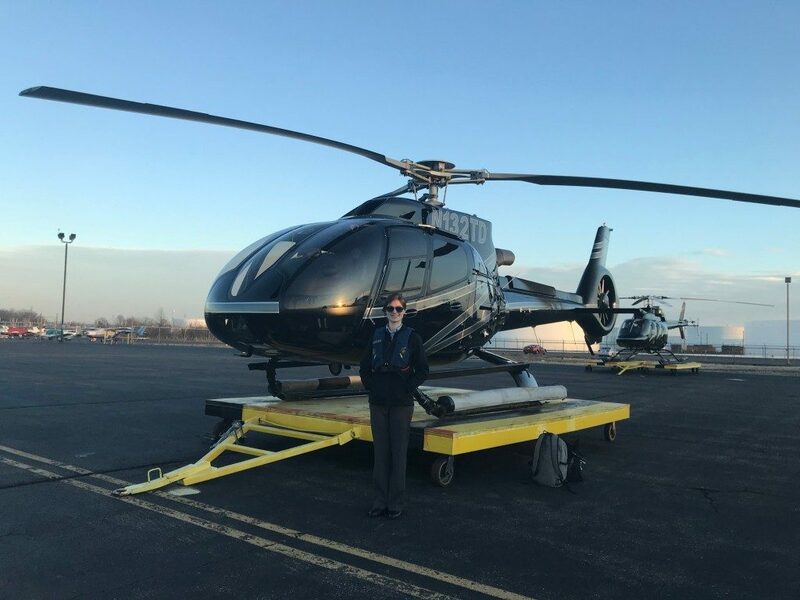 Take a look at the photo below of Alison in front of her new daily Helicopter, an EC 130.